Papa Johns just rocks, seriously!!! 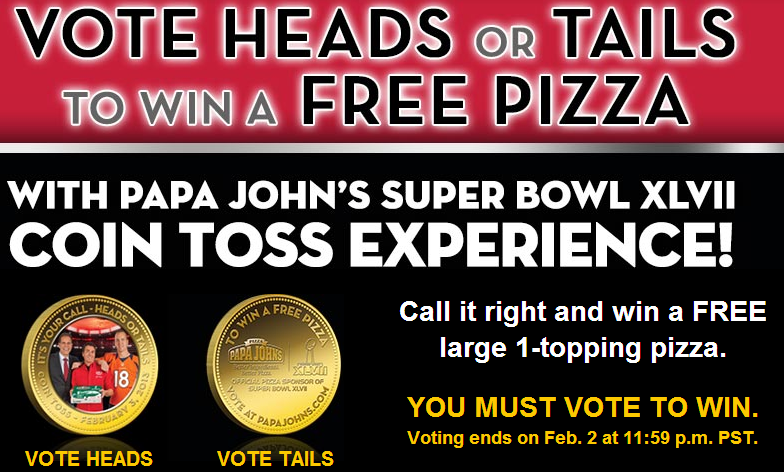 Head on over here and vote for whether the Superbowl XLVII coin toss will be heads or tails. If you choose right you will win a FREE large 1 topping pizza from Papa Johns. Make sure and get your vote in by Feb 2. And you will get a promo code emailed to you if you win on Feb 4th. Ooo…I hope I pick the right one! 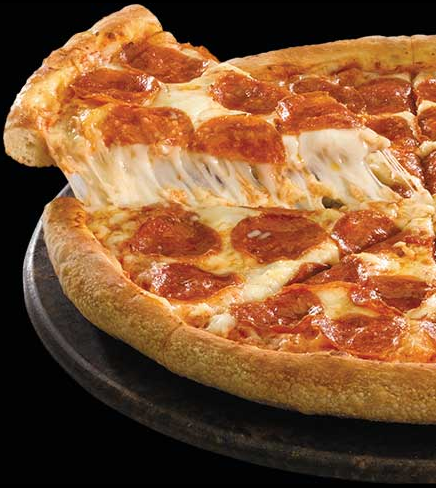 This pizza looks soooo good. Go here to vote. Good luck.